Keep looking at this site for new information! Our Pit Master is working up something special. See our menu on the flip side of this card. Get ready for some of the best smoked ribs and brisket in central Ohio. Kosher BBQ Festivals are about bringing the local community together and meeting new friends. But mostly it is about the food, and it is going to be amazing! We bring back the incredible beef ribs everyone enjoyed last year! The festival will bring back more exciting kids attractions: Climbing Wall, the challenging Adrenaline Rush obstacle course, kiddie inflatable, crafts by PJ Library as-well-as face painting and bubble making. We have the kids favorites. 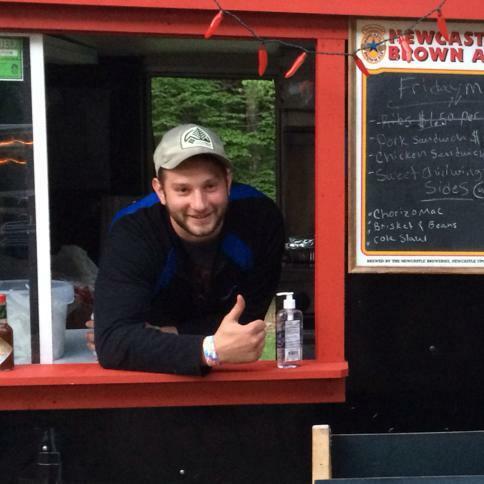 This year will feature a return of our widely successful Kosher pit master, Max McGarity. At Buckeye BBQ '16 Max smoked and cooked up 350 pounds of his St Louis Style Rib that sold out in just 3 hours! The Route 161 Happy Wanderers is a polka/Klezmer variety band that plays popular music from different eras and different places. Their music is easy to dance to, and especially appreciated by grandparents and grandchildren alike. The band was formed when their drummer, Vince, wanted to return to the music he used to play with his Hungarian grandfather back when Vince was teen. His grandpa was a professional musician on the accordion, bass and violin, and played all types of music from all over eastern Europe. Because they were living in Cleveland, Vince played a lot polka with him. Their multi-instrumental wizard Jason (Keyboards, Harmonica, Yodeling. Bass and more) also grew up with that Cleveland sound. 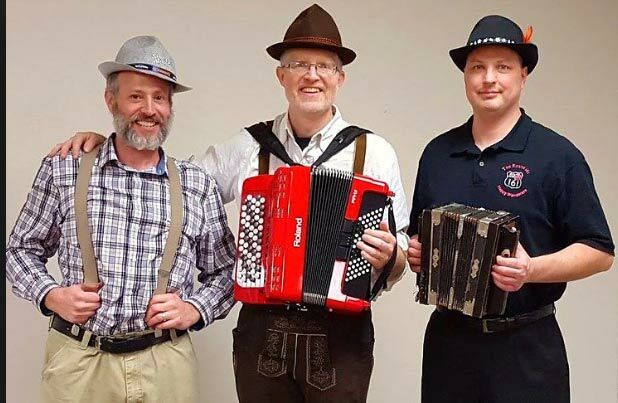 Dan, the singing accordionist, grew up in Midland, Michigan and went to Bay City for the Polish festivals and Frankenmuth for the German music. Styles of music they play include Polkas, Waltzes, Cajun and Zydeco, Musette, Klezmer, New Orleans classics, and Pop and Country standards. 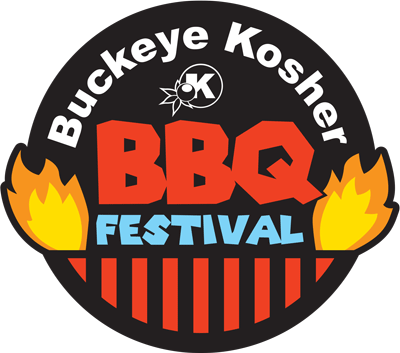 Buckeye Kosher’s BBQ Festival has been a phenomenal success since its inaugural event in 2015. Last year (3rd Annual) brought a 60% higher sponsorship and volunteer participation with approximately 110 volunteers and over 40 sponsors. The event continues to attract a strong audience of close to 1,200 festival attendees. We are planning for a bigger event this year. The festival will be grilling up some fun on Sunday, August 12, 2018 at the new central location of Capital University front lawn on Main Street. The venue and set-up are perfect since it is walking distance for most of the community in Bexley.